The Green Mountain State is home to more than one-hundred 19th-century covered wooden bridges, and thousands of acres of mountain terrain with hiking trails and ski slopes. 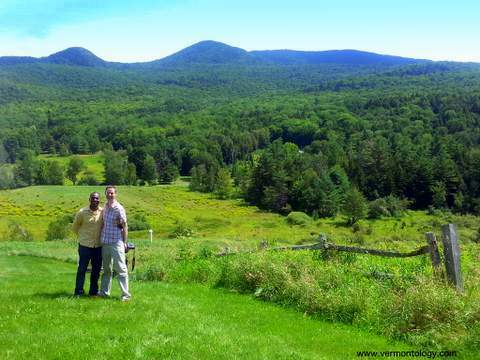 Vermontology Guided Tours offers intimate tour experiences for those wanting to explore this beautiful state. We asked Natalia Ferens-Hommel, the Owner and Operator of Vermontology Guided Tours, to tell us more. How would you describe Vermontology Guided Tours in one sentence? Vermontology Guided Tours is a small boutique style tour company that offers tours across the state of Vermont by passenger van, holding a maximum of 6 customers. What tours are offered at Vermontology Guided Tours? In Spring, Summer, and Fall, Vermontology offers vacation packages, with four-day, five-night guided tours around state of Vermont including a three-course dinner and full breakfasts prepared by a chef. Admissions to all sites of interest along the tour are also included. Our Vermont tours are an intimate experience that feels like traveling with a group of friends! We also offer a day trip tour where we explore charming villages, historical locations and find the best sightseeing that Vermont has to offer. Day tours with Vermontology are a great way to see the area's best local attractions. On this 8-hour adventure we pick you up and drop you off at your hotel. Another popular tour is our brewery and spirits tour. This is an 8-hour day tour for people who love world-class beer, spirits, and hard cider. This guided tour visits four Vermont breweries, one distillery and one hard cidery, plus lots of great Vermont scenery and other local attractions. No need to worry about driving, Vermontology will pick you up right at your door! Who are your clients at Vermontology Guided Tours? Vermontology has served customers from all over the world: Australia, New Zealand, India, Japan, Canada, China, Aruba, Brazil, Germany, England, Poland and the USA. We can cater to everyone's needs, and customize the tours according to people's interest and passions. On our tours we want everyone to feel extra special. Our excellent score on TripAdvisor shows that our tours can accomplish this. How did Vermontology Guided Tours begin? As founder of Vermontology I am originally from Europe and worked and lived in many different countries and states before moving to Vermont. When I saw Vermon for the first time I immediately reconnected with my childhood. When my friends started to visit us I always gave them personal tours of our great state. After dong this for several years I thought it was time to show the state to a bigger audience and through may passion and love for Vermont I created Vermontology. Why is Vermont such an important vacation destination? Vermont offers a lot of diversity yet is a small enough state to visit in a short period of time. We have wonderful sightseeing places: waterfalls, lakes, forest and mountains. The state is full of historical sites and is rich variety of architectural styles. Vermont is very progressive as well in our history, officially being the first state to abolish slavery, the first state to approve gay marriage and the first state to say no to GMO. We are also proud that we have no billboards to obscure our beautiful scenery! Last but not least, our food scene of locally grown produce makes this little state interesting to visit. You can visit Vermontology Tours at: http://vermontology.com/ or call 802-417-1996.